The jackpot in tonight's Mega Millions lottery game has reached $212 million. Rally your co-workers, it's time to pool your pennies and fantasize about what you'd do with a share of the millions of dollars you're probably not going to win. A winning ticket in Tuesday night's drawing could yield the lucky holder about $8.1 million a year, before taxes, for the next 26 years. That's with an annuity option. A single payment under the cash option is worth about $137 million before Uncle Sam's share is extracted. 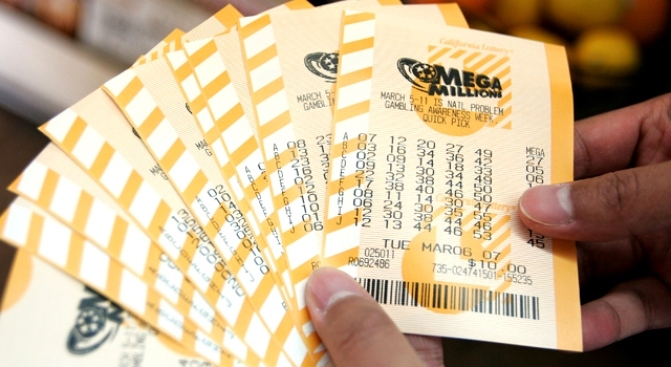 The largest Mega Millions jackpot of $390 million was March 6, 2007, shared by winners in Dalton, Ga., and New Jersey. The $212 million bonanza is sure to bring out plenty of ticket buyers, though. The game includes Virginia, Illinois, Maryland, Massachusetts, Michigan, New York, Ohio, Texas, Washington state, Georgia, New Jersey and California.